I am committed to enriching the lives of my clients through extraordinary service with exceptional results. I am passionate about giving clients excellent real estate service with experience, knowledge and personalized care. I am engaged in ethical and honest business practices to make a positive difference. As your Realtor, I am committed to understanding your needs and interests. I promise to deliver service promptly, professionally and with integrity. As with all my clients, I promise to provide you with sound real estate advice, helping you to understand all of your options in the real estate process. My goal is to build a relationship on trust. Value and service will be provided before, during, and after the transaction--not only is this my business philosophy, but also my commitment to provide you with outstanding personalized service that exceeds your expectations. Christine was born and raised in Contra Costa County growing up in Concord and Clayton. Christine works very hard in real estate while raising her family. Christine, her husband and her two children have lived in Clayton since 2005. The world of customer service called upon her early when she was 15 years young as she worked in the restaurant business. She started as a hostess and worked her way up to management by the time she was 19. She became a Senior Manager at 25 and was offered the GM position a year after. Christine enjoyed the intensity of the restaurant business and working with the public. She built several strong relationships with regular guests, many of whom she stays in contact with today. Christine's internal desire to help people peaked her interest in real estate and in 2002 she achieved her real estate license. Since that time, Christine has helped over 150 families realize their real estate dreams. 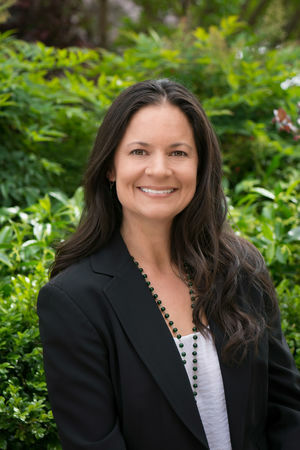 Christine began her career with Keller Williams in Walnut Creek. She moved agencies in 2004 to join a top selling real estate team at Re/Max Accord in Lafayette, learning there and developing for 5 years. Determined to grow and enhance her career, she joined Re/Max in Clayton and then later moved to Re/Max in Walnut Creek. In 2013 Christine was invited to join the most distinguished and technically advanced real estate firm in the Bay Area: Alain Pinel Realtors / Estates by Wendy Team. Specializing in the marketing of distinctive properties and estates, APR has revolutionized Bay Area real estate practices since 1990 – delivering the highest level of service in the industry. Their association with Christine is a bright example of their continued commitment to the ultimate in client care. Christine is truly with you every step of the way.